While there might be at least some level of truth to the USB-C iPhone rumours that continue to circulate, it looks like the 2019 version of Apple’s flagship smartphone won’t be ditching lightning. All of Apple’s 2019 iPhones will use the tech giant’s proprietary Lightning port, according to Japanese publication Macotakara. Further, Apple is also set to include the same 5W charger and USB-A-to-Lightning cable in the box. This means that if you want to charge your iPhone faster, you’ll still need to purchase either the 12W or 18W iPad charger separately. Apple’s 2019 line of iPhones will also still include Lightning EarPods, a Lightning-to-USB-A cable and a standard 5W USB power adaptor, just like they have for many years now. Macotakara goes on to say that Apple is resistant to shift its smartphone to USB-C because it doesn’t want to change the accessories included the iPhone’s box to keep production costs down. It’s worth keeping in mind that just because the 2019 iPhone won’t make the switch to USB-C, that doesn’t mean Lightning’s days aren’t numbered. 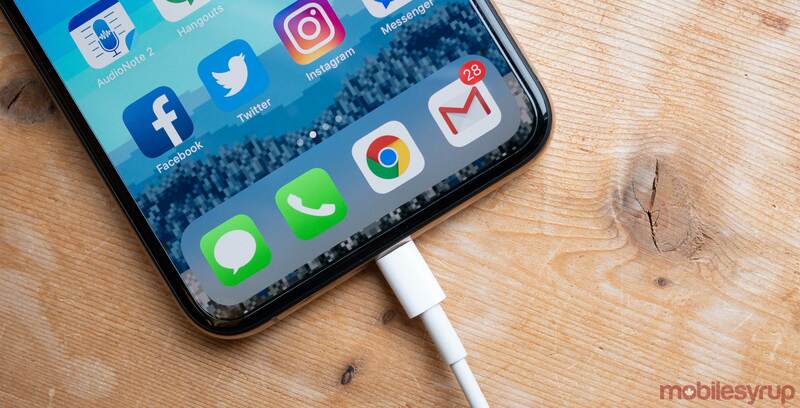 It’s possible Apple could have plans to finally make the jump to the increasingly universal USB-C port for its 2020 iPhones. Until then though, plugging the iPhone into one of Apple’s more recently released USB-C MacBooks remains a frustrating experience that requires an additional USB-C-to-Lightning cable.